HOLDEN designers have stolen the spotlight at the Detroit motor show before the curtains have officially been lifted. A brand-new Buick concept car was unveiled at a preview event on the eve of North America’s largest auto show on Sunday evening in the US, about 11am Monday Australian Eastern Standard Time. The car was unveiled by former Holden boss Mark Reuss. 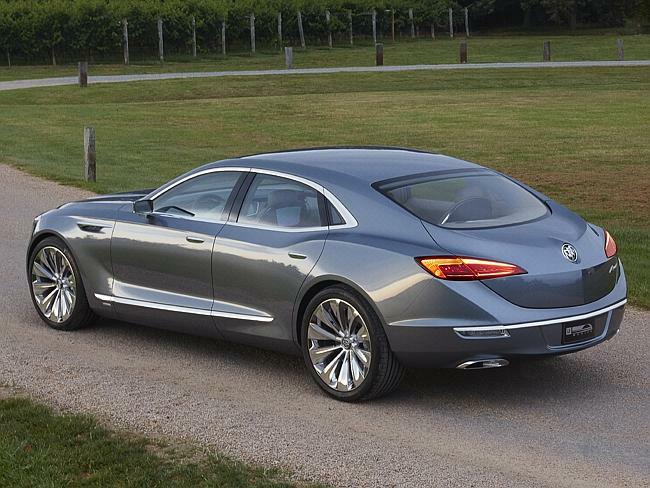 The Buick Avenir — French for “the future” — was a joint design effort between Holden’s styling studios in Port Melbourne and General Motors’ design centres in Detroit. And Holden built the car by hand before it was airfreighted to the US just before Christmas. “Australia is really good at some of the bigger luxury cars,” said Mr Reuss. 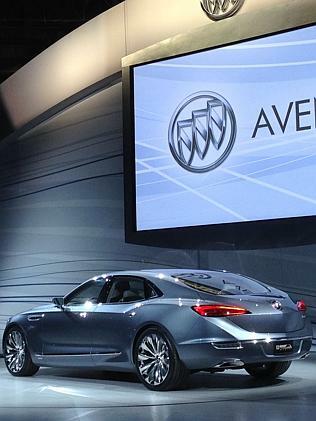 For now, though, the Buick Avenir is just motor show tease. The company wouldn’t say what type of engine is under “the hood” but Mr Reuss did confirm it was rear-wheel-drive, like the current Holden Caprice luxury sedan. “We don’t have any production plans for it right now … we want to see what people think,” said Reuss. 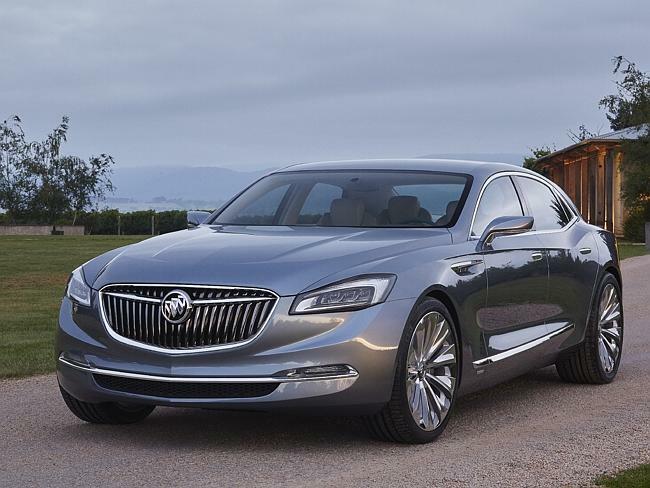 However, Holden insiders have told News Corp Australia that the Buick Avenir will likely be made in China and sold globally. It may also come to Australia as the eventual replacement for the Holden Caprice, once the Elizabeth car factory falls silent in late 2017. If the Avenir goes into production it will become only the second Chinese-made global vehicle designed in Australia; the first was the Ford Everest SUV unveiled late last year. The Buick Avenir will not reverse GM’s decision to close the Holden factory but it does underline Australia’s transformation into a design and engineering hub, rather than a manufacturing hub, for the automotive industry. For example, Ford Australia now employs more designers and engineers than it does factory workers. GM executives would not speculate where the Buick Avenir might be built but the chairman and the president of GM’s joint venture in China, SAIC, were present at the unveiling. Furthermore, of the 1.2 million Buicks sold globally last year — a record for the 111-year-old brand — 920,000 were made in China. 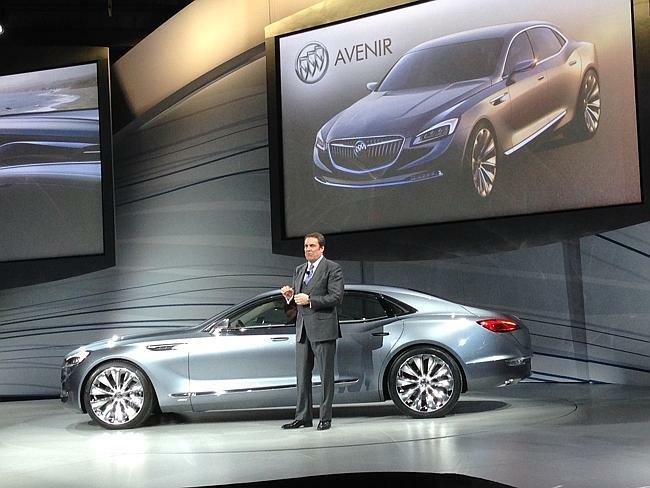 The unveiling of the Buick Avenir in Detroit solves one mystery. When Holden announced its factory shutdown there was speculation the next Commodore may come from China. 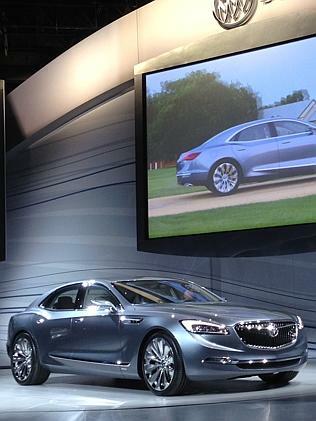 However, what is now apparent is that Holden designers were working on the Chinese version of this new luxury Buick. Instead, the next generation Holden Commodore will now be sourced from Opel in Germany, coming full circle from the 1978 original, which was based on a German sedan at the time. Buick may have a stale image overseas but it is enjoying a resurgence in the US; the fifth year of growth in 2014, up 11 per cent on the previous year. It is also now GM’s second biggest global brand behind Chevrolet.